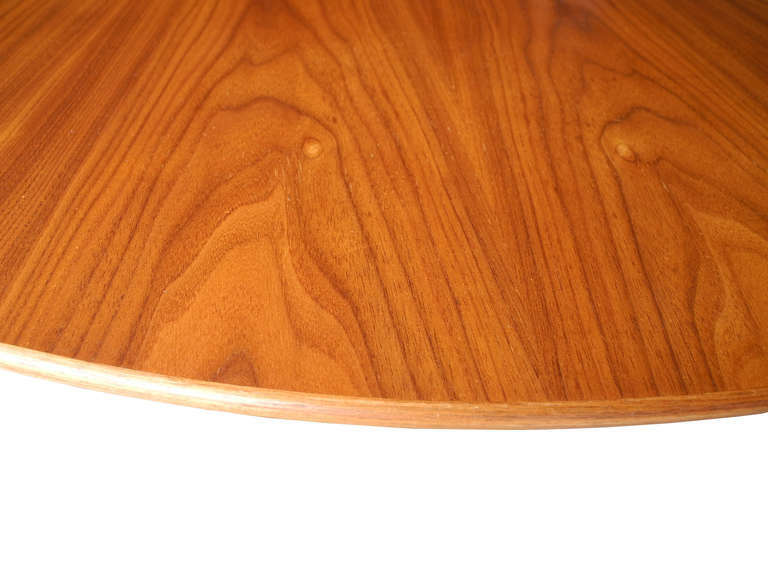 Also known as the "Tulip" table, this walnut top is attached to a black iron tulip base. Seats six to eight comfortably. Condition is very good. Through his work as an architect and designer, Eero Saarinen was a prime mover in the introduction of modernism into the American mainstream. Particularly affecting were the organic, curvilinear forms seen in Saarinen’s furniture and his best-known structures: the gull-winged TWA Flight Center at John F. Kennedy airport in New York (opened 1962), Dulles International Airport in Virginia (1962) and the Gateway Arch in St. Louis, Missouri (1965). Saarinen had a peerless modernist pedigree. His father, Eliel Saarinen, was an eminent Finnish architect who in 1932 became the first head of the Cranbrook Academy of Art in suburban Detroit. The school became synonymous with progressive design and decorative arts in the United States, and while studying there the younger Saarinen met and befriended several luminaries of mid-century modernism, among them Harry Bertoia, and Charles and Ray Eames. At Cranbrook, Saarinen also met Florence Schust Knoll, who, as director of her husband Hans Knoll's eponymous furniture company, would put Saarinen’s best designs into production. These include the “Grasshopper” chair, designed in 1946 and so named because its angled bentwood frame resembles the insect; the “Tulip” chair (1958), a flower-shaped fiberglass shell mounted on a cast-aluminum pedestal; and the lushly contoured “Womb” lounge chair and ottoman (1948). 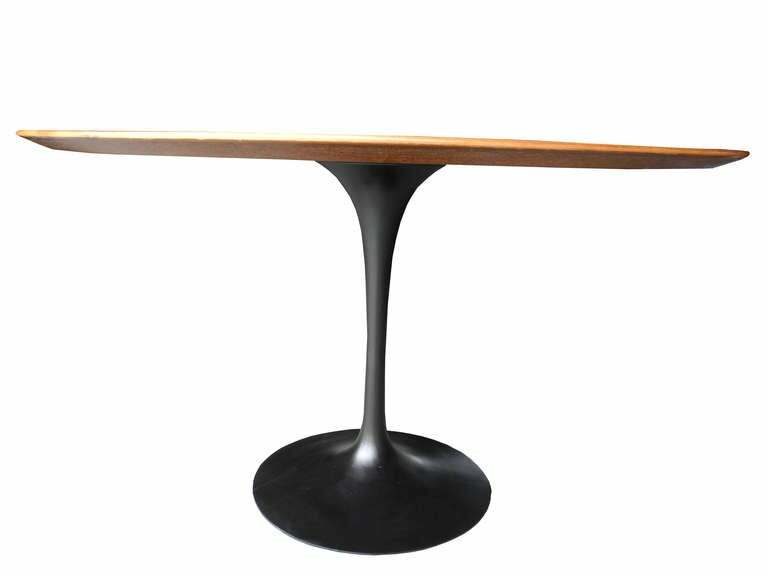 In his furniture as in his architecture, the keynotes of Eero Saarinen’s designs are simplicity, strength and grace. 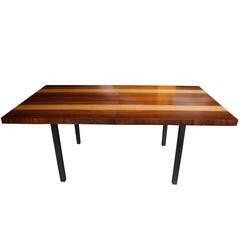 Walnut topped dining table with beveled edge and off white metal base. 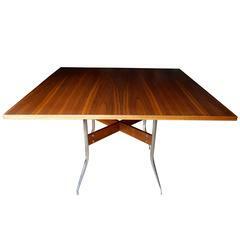 Eero Saarinen 42" inch diameter "Tulip" dining table for Knoll with aluminum base and laminate top, Circa 1956. 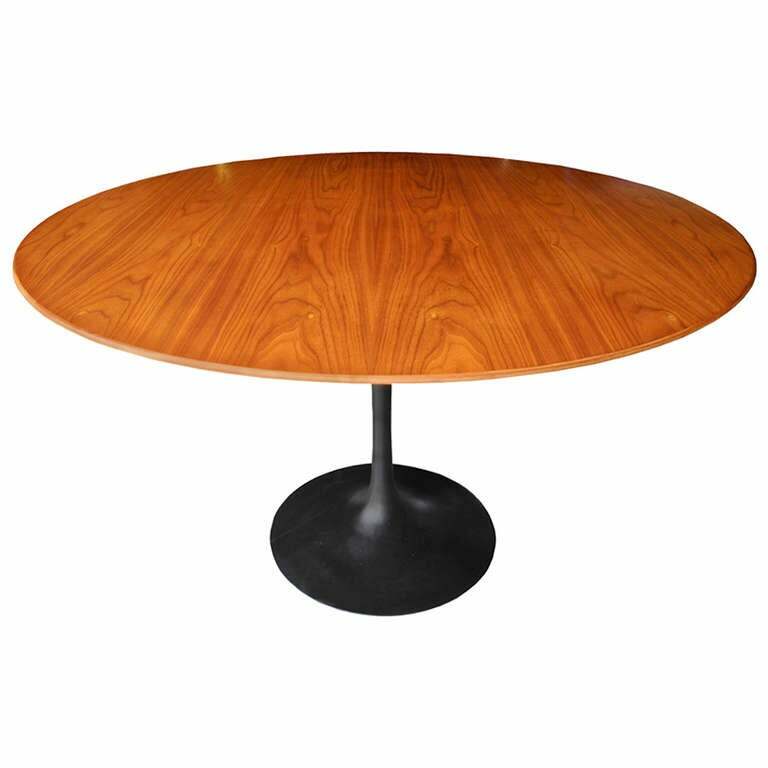 Eero Saarinen for Knoll International 42" diameter tulip dining table Purchased within the last five years for a model home, hardly used.